Oh, the Ways We Pay! 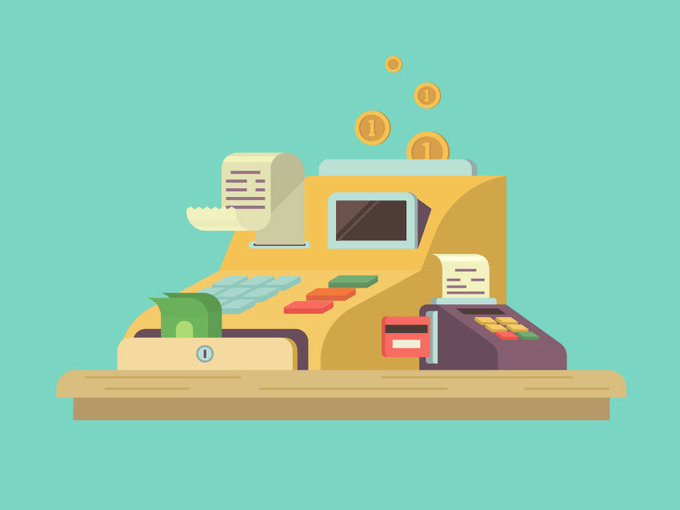 If you want to think about the evolution of payments, just think about what a cashier would ask you in the checkout line. If you remember far back enough, you'd be asked, "Cash or check?" That gave way to, "Cash, check or charge?" which then turned into "Cash or credit?" as usage of checks declined. Nowadays, many cashiers almost expect you to pay with a card, and when you do, you're asked, "Credit or debit?" Add prepaid cards, gift cards and mobile payments to the mix, and you've got an amazing number of ways we can pay for goods and services today. Blackhawk Network, a prepaid and payments company, recently conducted a survey to figure out all the different ways Americans pay for their stuff. The company's survey of 1,000-plus Americans found that people used upwards of nine different payment methods--a far cry from the days of "cash or check" or "cash or credit." “Our findings prove that payments is not either/or when it comes to legacy payments versus emerging products; it’s really about convenience and providing a mix of options," said Teri Llach, chief marketing officer at Blackhawk Network, in a statement. Even though the media would have you thinking that everybody uses plastic or their phone to pay for everything, according to Blackhawk's survey, cash is still king. The survey found that 93 percent of respondents used cash to pay for something over the last year. Additionally, 93 percent responded that cash was the most convenient payment method to use. Cash's popularity was also noted in a paper written by Barbara Bennett, Douglas Conover, Shaun O'Brien and Ross Advincula published by the Federal Reserve Bank of San Francisco in April 2014. The paper's authors looked at data collected from the Diary of Consumer Payment choice in October 2012 and also found that cash was the most popular method of payment. This survey detailed consumer transactions during October 2012 and found that participants paid for 40 percent of their transactions that month with cash. If cash has the image of being a payment form on the decline, then checks must be an obsolete form of payment, right? Not exactly. Blackhawk found that 68 percent of people paid for something with a check in the last year, which was equal to the amount of people who used a debit card and one percent more than the number of people who used a credit card. They didn't rank checks as easy to use though, with only 35 percent thinking that they're the most inconvenient payment method. The Federal Reserve paper noted that check usage was a small fraction of payments--only seven percent--, which put it equal to the share of electronic payments made. This paper showed that debit was more popular than credit, making up 25 percent of transactions compared to 17 percent for credit. However, this paper also looked at how large the transactions were for each type of payment, and the authors found that participants used cash for smaller transactions and that checks and electronic payments were reserved more for larger transactions. But back to the other forms of payments we use. As it's a gift card distributor, Blackhawk also looked at gift card usage and found that nearly half of the respondents used retail gift cards and Visa or MasterCard-branded gift cards. About a third used a prepaid debit card. Last but not least, 14 percent used their phone or tablet to make a payment. Although Americans still appear to be sticking with tried and true forms of payments, Blackhawk found that they're willing to try new methods, with about one-fifth of respondents saying they're using alternative forms of payment like a mobile wallet, a wearable or Bitcoin, and 68 percent claim they're using these alternative forms more than they were last year. Llach also noticed the trend but said it's too soon to nail the coffin on traditional payment methods. “Consumers still have a strong preference for traditional payment methods like debit cards and prepaid cards. Those payments tools are not going away anytime soon, even as interest in and usage of new payment methods grows."